When i discovered Kite in 2006 I was feeling something very special and at this moment I was sure this sport will turn around my life. Since 2007 I compet on earth, water and snow , 2nd in snowkite world cup 2012 is my best result. I always want to share my experience and so i created KiTe UNiT specialy for that in 2010. I train french snowkite and kitesurf athletes in race and freestyle for national and international competitions (http://kite-unit.com) Happy to be in Kitetrackers' team to train myself and my teams with a good and usefull GPS app !!! 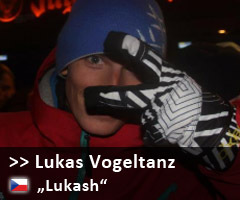 Lukash is one of the fastest growing snowkiter. He start 2008 and now he's international rider for Flysurfer. His specialty is snowkiting freeride, some high jumping from mountain and mountain race. 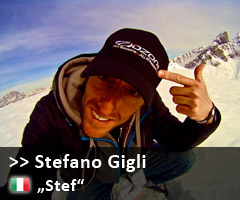 He won SnowkiteMasters mountain race 2012. Remi started the first snowkite school at the Lautaret pass in the French Alps. 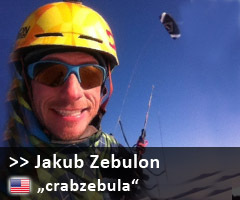 Little by little he has developed free-ride kiting, an exciting, fast-developing sport. He has participated in various competitions, for example in the "Mishkumi challenge" in Canada. 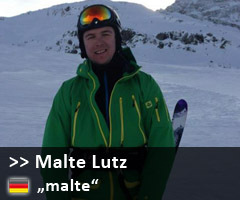 He has also achieved several "firsts" in snow-kite treks in the Alps and in Chile. 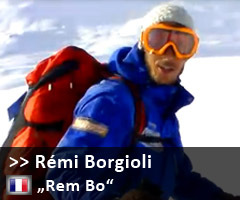 Remi endeavours to include local, young people in this sport, and offers free-ride kiting treks to his clients. "Kite tracker" is an indispensable tool, not only from a pedagogical point of view, but also for his personal kiting activities. Malte started kitebuggy racing over 10 years ago. 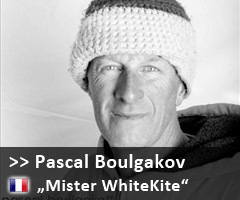 After winning all major events he started kitesurfing and snowkiting as well. Nowadays he spends all free time out there searching for new limits either if it's racing in his kitebuggy or megalooping on the water. Too bad that he lives so far away from the real playground! The only kiter in the world to have summited Mount Washington, NH, USA completely and purely by kite. Also, the only kiter in the world to have kited the majority of the Presidential Traverse in NH's White Mountains of NH in the USA. Zebulon is pushing and exploring areas for riding on snow, land, and water and pushing creativity in freestyle and large jumps on ski and snowboards as well as ground boards and water riding. 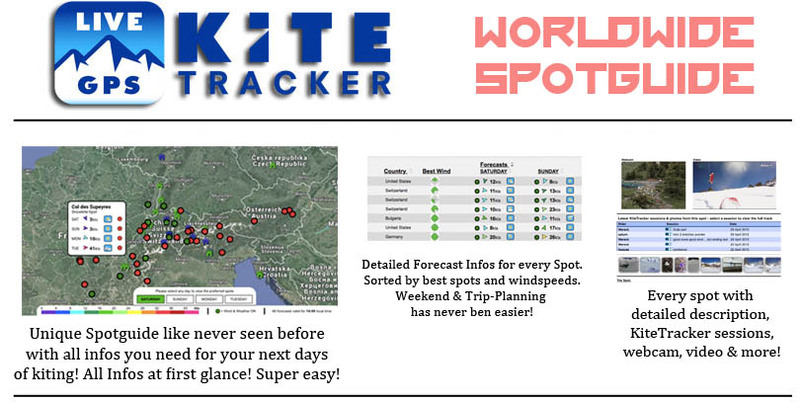 Kitetracker has become the constant companion for me on my adventures that are often performed alone, both as a safety tool ( you can track me) and a sharing device to show all folks where I have been and what it looks like. I was born in Rome (Italy) in 1972. As a child I was attracted by the snow-capped mountains, the clouds in the sky and the waves in the sea. I liked everything that moved in the air and when I happened to see a seagull flying without flapping its wings, I dreamed of being able to do even I grew up. Following my passions I became a professional outdoor sports. Ski Instructor, Sailing instructor, Mountain Bike Guide, Stand Up Paddler, Surfer, paragliding pilot, working in the field of Kite and I am part of a big family, the Ozone Kite and Paragliding company.. the best one in the world! "I believe that the only true limits depend from a condition of our mind" - "The important thing is that you live as you like"
Jonas is probably one of the most talented snowkite racer in Switzerland and perhaps in Europe! With his sweet 18 years, he's already fighting against the best Swiss snowkite racers! 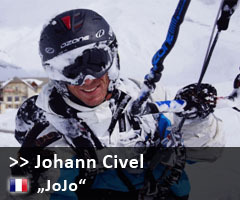 We are proud to support Jonas on his big goal, the world snowkite championship in race! Go for it Jonas, we know you will reach your goal !